In On My Wishlist I spotlight books that I'm really looking forward to. I know there's a meme Waiting on Wednesday and there even are others, but I'm going to rebel and do it how I want it (hehe). I'll feature the synopsis as posted on Goodreads and put a linkie to the Goodreads page of the book. 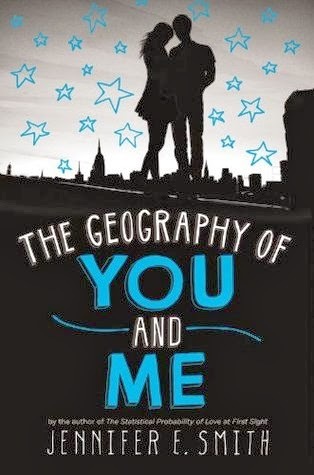 This week: The Geography of You and Me by Jennifer E. Smith. Wheeee the queen of long book titles has a new book coming out! *hops excitedly* I adored both The Statistical Probability of Love at First Sight and This Is What Happy Looks Like and I cannot wait to get my hands on this one. Whenever I need something fluffy, something to pick me up when I'm a bit down, this is my medicine. A real feel good book. LOVE. *content sigh* Yeah. I need this. Like, yesterday. Please?